© Kypros/Rex Features/Shutterstock Police mugshots John Wayne Gacy. A former police officer who authorities suspect was an elusive serial killer who committed at least 12 homicides, 45 rapes and dozens of burglaries across California in the 1970s and 1980s was arrested Wednesday. A law enforcement official identified the suspect as 72-year-old Joseph James DeAngelo, a former police officer. Sacramento County jail records show DeAngelo was arrested overnight on suspicion of two counts of murder cited in a Ventura County warrant. -2014: Darren Deon Vann was arrested in the killing of a 19-year-old woman at a motel in Indiana and later confessed to the murders of six other women. He is currently awaiting trial. -2007-2009: Anthony Sowell was convicted of killing 11 women and hiding the remains in and around his home in Cleveland, Ohio. He was sentenced to death and is on death row in Ohio. -2005-2006: Mark Goudeau, a former construction worker who was also known as the "Baseline Killer," was convicted of killing eight women and a man in Phoenix, Arizona. He was sentenced to death in 2011 and remains on death row in Arizona. -2002: Lee Boyd Malvo and John Allen Muhammad randomly killed 10 people in Washington, D.C., Virginia and Maryland as they pumped gas and went about their business during a three-week period in 2002. Malvo is serving several life sentences at a Virginia prison; Muhammad was executed in Virginia in 2009. -1997-1999: Angel Maturino Resendiz was convicted of murdering a Houston woman, but was linked by confessions and evidence to at least 12 other killings nationwide. He's on death row in Texas. -1996-1998: Robert L. Yates Jr. was convicted of two murders but admitted to 15. He's on death row in Washington state. -1990-1993: Heriberto Seda, aka "the Zodiac Killer," killed three people and wounded four in New York City and is serving a 235-year sentence. -1989-1990: Aileen Wuornos, a rare female serial killer, was convicted of murdering six men while working as a prostitute along highways in central Florida. She was executed in 2002. -1985-2007: Lonnie Franklin, known as the "Grim Sleeper," was convicted in the deaths of nine women and a teenage girl in Los Angeles. Franklin was linked at trial to 14 slayings, including four women he wasn't charged with killing. Police have said he may have had as many as 25 victims. He was sentenced to death and is on death row in California. -1984-1985: Charles Ng and Leonard Lake were convicted of murdering 11 people. Ng is on death row in California; Lake committed suicide. -1984-1985: Richard Ramirez was convicted of killing 14 people during break-ins in the Los Angeles area. He is on California's death row. -1983: Henry Lee Lucas was arrested on murder charges and told police he had have killed as many as 600 people. He later recanted. Lucas had 13 murder convictions and was sentenced to at least 10 life terms, then was sentenced to death in Texas for the murder of a hitchhiker known as "Orange Socks." Then-Gov. George W. Bush commuted that to life in prison, his only commutation as governor. Lucas died in prison in March 2001. -1979-1981: Wayne B. Williams of Atlanta was convicted and sentenced to two life terms for killing two boys, but police believed he may have been responsible for up to 28 deaths. -1978-1995: Theodore Kaczynski, aka "the Unabomber," carried out a series of mail bombings that killed three people and injured 23. He is serving a life sentence at a federal prison in Colorado. -1978-1992: Jeffrey Dahmer was sentenced to 16 consecutive life terms for killing 17 men and boys, most in Milwaukee. He was killed in prison in 1994. -1977-1978: Ted Bundy was convicted of three Florida slayings, including that of a 12-year-old girl. He confessed to more than 30 and was executed in 1989. -1977-1978: Angelo Buono Jr. was convicted of murdering nine young California women and sentenced to life in prison without parole. Kenneth A. Bianchi pleaded guilty to five of the murders, agreeing to testify against his cousin in return for being spared a possible death sentence. He was sentenced to five concurrent life terms in prison. -1976-1986: Joseph James DeAngelo, a former police officer in Auburn, California, is suspected of being the so-called Golden State Killer. He has been booked on two murder charges but is suspected of 170 crimes, including a dozen murders and 45 rapes between 1976 and 1986. -1976-1977: David Berkowitz, aka "Son of Sam," killed six people and wounded seven others in New York City. He is serving six consecutive 25-years-to-life sentences. -1974-1991: Dennis Rader, who called himself BTK for "bind, torture and kill," killed 10 people in Wichita, Kansas. He was arrested in 2005 and is currently serving 10 consecutive life sentences at a Kansas prison. 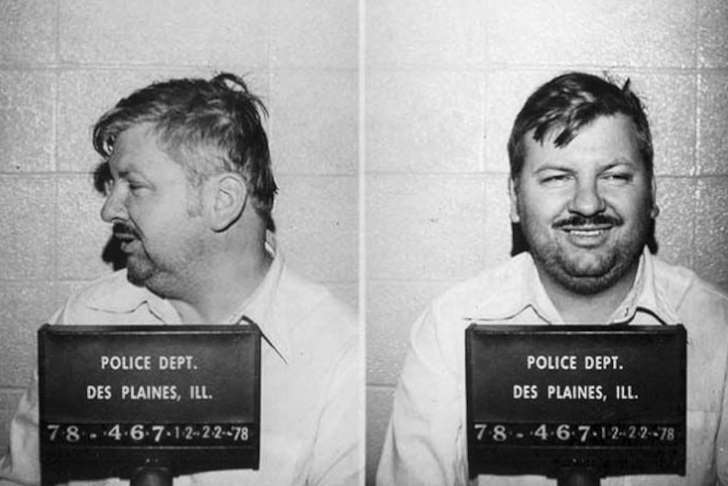 -1972-1978: John Wayne Gacy of suburban Chicago killed 33 young men and boys. He was executed in 1994. -February-May 1971: Juan Corona was convicted of murdering 25 farm workers whose bodies were found buried near Yuba City in northern California. He is serving a life sentence. This list has been corrected to show that Wuornos was executed in 2002, not Wednesday.